This building is unlikely to catch your eye, but it is on the waterfront and from 1841 to 1874 was the British consulate, which means that it was visited by Burton and Speke in 1856 and later not only by Stanley but by Livingstone's body in the course of its journey back to England. 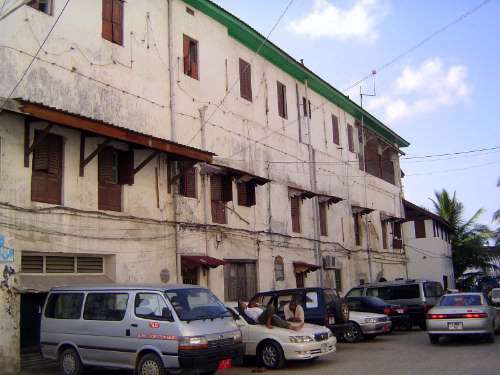 The building later became the local headquarters of a shipping agent, Smith Mackenzie, and of the Zanzibar State Trading Corporation. The wing in the distance, on the beach, is now a bar.